Do you have anxiety? Are you looking for something other than talk therapy that could help? Have you ever been interested in improv but feel like your anxiety has gotten in the way? Improv for Anxiety is for you! Many times individuals with anxiety have difficulty forming deep connections to people outside of their comfort zone. In this class, individuals are able to explore and process triggers together and find group cohesion through play and humor. Students will find this class to be light-hearted and fun while gaining support with others who have similar struggles. In addition to improv techniques that promote mental health and manage anxiety, therapeutic modalities such as Mindfulness, Cognitive Behavioral Therapy, Biofeedback, and Rapid Resolution Therapy will also be integrated throughout the course. Students will also learn theater basics, the tools of improv, creating reality, and introduction to scenework. This class is taught by Andrea K. Baum, a psychotherapist trained in improvisational comedy, and will be assisted by improv instructor Greg Mihalik. Do I have to perform or be put on the spot? No. This is not a performance-based course. You will be encouraged to participate in group and role-playing exercises and we will consider your comfort and anxiety level. Does it matter what kind of anxiety I have? Not at all. This class will benefit everyone; from those who have panic attacks to those who struggle with generalized or social anxiety and more. Naturally, I have anxiety about attending this class. Who can I contact for questions and concerns? Yes, you will be with a group of people who feel similarly. 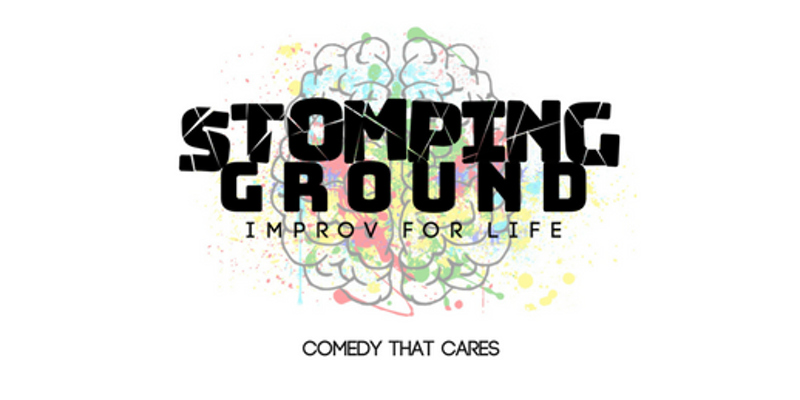 You can contact andrea@stompinggroundcomedy.org with all questions and concerns. Must be 18 or Older to Purchase or Attend Class. All sales are final. Refunds are not available on classes but we are happy to shift your registration to a future class.Â Stomping Ground Students get free admission to all shows while enrolled in classes.